This year’s juries for the 2018 NSW Architecture Awards shortlisted 92 entries. The shortlist was developed following an intensive schedule of presentations followed by site visits to consider 206 entries received across 10 categories, with a notable increase in entries in the Residential and Interior Architecture categories. The winners in each category were announced at the 2018 NSW Architecture Awards ceremony on Friday 6 July at The Venue in Sydney’s Alexandria. 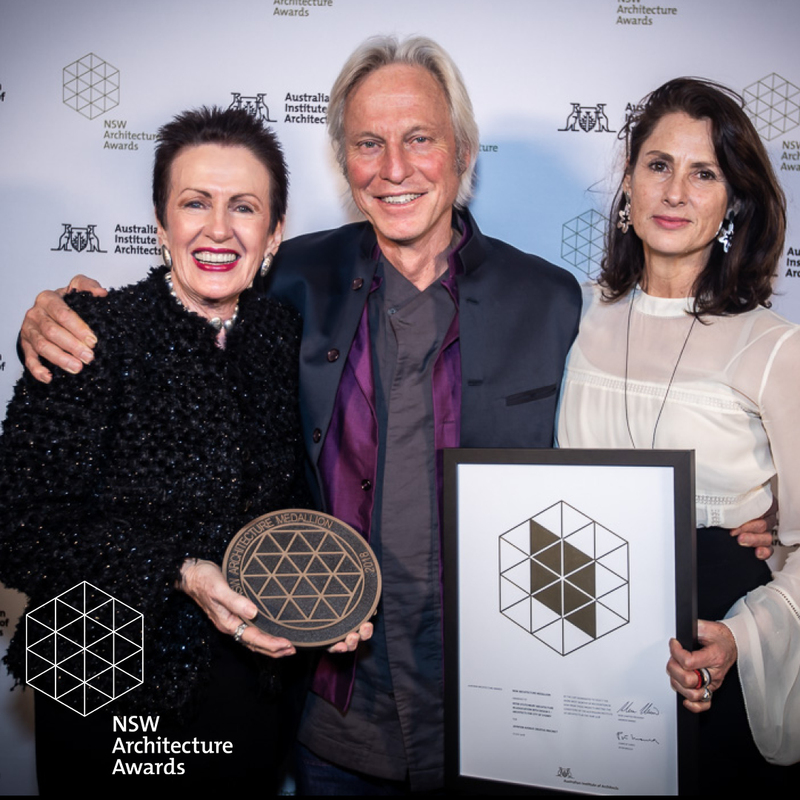 The 2018 NSW Architecture Awards, included the first ever recipient of the NSW Architecture Medallion for ‘best in show’ selected from recipients of the named award in each category. In total the jury bestowed 69 awards and commendations. The Institute congratulates all the practices that participated in the 2018 NSW Awards program and thanks this year’s jurors, who contributed their time and expertise with great generosity. More pics of the 2018 Awards Night are available here. Peter Mould, Chair of Juries, said: “I have had the privilege of overseeing the awards program since 2016 and every year I appreciate the variety and richness of opinions generated by debate about architectural excellence. The 2018 Panel chairs were Annabel Lahz, Imogene Tudor, Graham Jahn AM, Marissa Looby and Heidi Pronk. “The Institute was also delighted to have Tricia Helyar, NSW Country Division Chair, and Jason Elsley, Newcastle Committee join the judging of the Blacket Prize, which recognises design excellence in a regional context,” Peter Mould said. All entries were also considered for the Sustainable Architecture Award, judged by the Panel chairs and Andrew Bagnall of A.G. Coombs Advisory. Sustainability is considered integral to good design and entries were considered not only from a technical perspective but also in terms of their social sustainability. The jury was impressed by the richness and inventiveness displayed in this year’s projects, both large and small. Jurors for the NSW 2018 Architecture Awards were nominated by the Awards & Prizes Committee taking into account the EOI submitted in last five years. The deadline to submit an EOI for the 2018 Awards was Friday 24 November 2017. For more information and details of how to submit please click here.